Block Party lost over $200,000 last year. How does the AMS plan to improve? The 2016 AMS Block Party, after months-long battles between the AMS, UBC and the University Neighbourhoods Association (UNA), lost $207,295, according to the AMS's 2016/17 budget presentation to Council — about $154,000 more than the $53,000 deficit the AMS was planning for. Outlining the budget for last year's Block Party was “quite the guessing game,” according to AMS VP Finance Louis Retief, partially because of the uncertainty about where it would be held. Major contributing factors to the deficit include a lack of tickets being sold — 6,800 out of a potential 10,000 — and lower beverage sales than in previous years. Also contributing to low ticket sales, said AMS President Ava Nasiri, was the lengthy negotiation that took place between the AMS, UNA and UBC over whether Block Party could be hosted at Thunderbird Arena. The budget was finally approved in January 2016 — this year, it was finalized before September. As for the beer sales, that “probably had to do with the amount of 'celebration' that students did prior to coming to the event. Particularly given the location of the venue and the walk,” said Nasiri. The abnormally large deficit was also partially caused by the cost of the flooring that was laid down to protect Thunderbird Stadium's turf, which had to be driven in from out-of-province. All told, including gas, labour and the flooring itself, that cost was somewhere around $100,000. This year, in order to keep Block Party at the stadium, the AMS is looking into partnering with a community member to secure flooring for free or at a much cheaper cost. 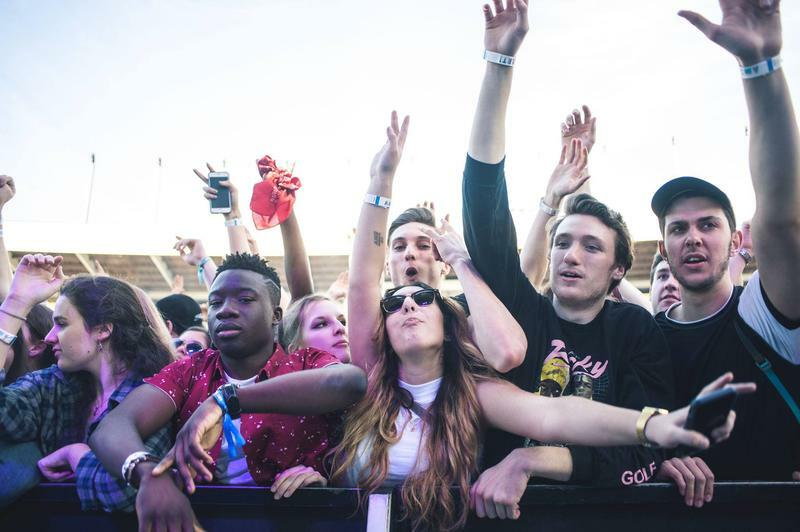 In 2015, when Block Party was held in a parking lot, ticket prices ranged from $15-30. If the AMS is unable to buy, rent or borrow flooring for a reasonable price, the wheels are already in motion to host the party in University Commons — the open space in front of the Nest. The budget passed in Council to hold Block Party in the Commons includes a planned deficit of $62,000 — $9,000 more than last year's planned amount. The AMS were able to begin the budgeting process much earlier this year, allowing them to put together what they believe is a more accurate idea of what it'll cost. “We'd rather budget for a higher deficit than go over budget,” said Retief. Without free flooring for Thunderbird Stadium, the Commons is definitely the cheaper option. The space has a capacity of 6,500, or just under the amount of tickets sold last year. “The spirit is always to continue expanding Block Party. However, we have to be financially responsible with the fees that students are paying us, obviously,” said Nasiri. Early bird ticket prices here would go for $17, general tier for $25 and final tier for $30. Though the ticket prices would be cheaper in the Commons than if Block Party were held in the stadium, Nasiri noted that the bigger venue would be able to attract better talent. “Even if you're paying $57, you're paying [that amount] for a concert that you probably would've paid $80 or $90 for if it was at Rogers Arena,” she said. Nasiri said that her campaign promise to turn Block Party into a charitable event still has no specific time frame for becoming a reality, noting that she is "still putting together a longer-term plan on how to get this from where it is and where it was last year to a financially sustainable and eventually philanthropic event." “The first step is to have it be a break-even event, because there's no artist you could convince to come play a charity concert if there's no money at the end of the day being given to charity,” she said. Though the AMS's long-term vision for Block Party is to keep expanding, Retief isn't opposed to dialing it back for a year. “Just to be fiscally responsible this year, we'd rather take a step back and plan what we want Block Party to look like three, five years from now. It's not like we're forever moving away from the stadium. It's like we're taking a step back now that we know what the stadium requires and we're going to work towards getting Block Party back there,” he said.